AnnArbor, MI – Siromed Physician Services, Inc. (“Siromed”) has appointed Gregory Bock as its Vice President of Operations in Michigan. Mr. Bock will also serve as the CEO of Anesthesia Associates of Ann Arbor, PLLC, (A4) replacing long-time CEO Joseph Hymes, who is retiring in February of 2019. 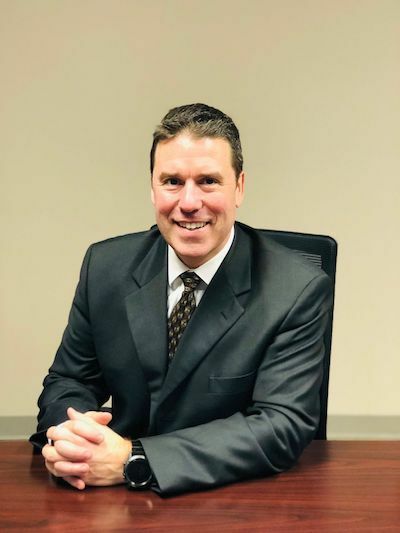 Greg is an accomplished healthcare executive with nineteen (19) years of experience gained at Providence Hospital, Oakwood Hospital, and Medical Center, Wayne State University Physician Group, with proven operations execution and leadership. In his most recent role, Greg served as President of Samaritan Hospital & Behavioral Center of Michigan in Detroit. Greg’s background in hospital operations and his understanding of partnering with physicians will drive clinical and operational excellence in Siromed’s anesthesia platform. The plan includes leveraging Greg’s background in patient outcomes and the engagement of the physicians in providing high quality anesthesia care that is comprehensive,compassionate, coordinated, and innovative, to the patients and facilities in which A4 currently serves. Founded in 1968 and headquartered in Ann Arbor, Michigan, A4 is the largest provider of anesthesia and pain management services in the State of Michigan. A4 attributes its ongoing growth and success to a keen focus on delivering top quality,cutting-edge health care to patients while providing a high degree of engagement and customer service to its health system partners. With over 120 physician anesthesiologists, A4 currently provides services to 11 hospitals, six ambulatory surgery centers (ASCs) and four chronic pain management clinics. In March of 2018, Siromed Physician Services, Inc. became the parent company of A4. Siromed was founded in 2017 to pursue partnerships with abroad array of physician services practices throughout North America,especially those seeking capital to support the development of their practices while maintaining clinical autonomy.